"Damn, no petrol? Burning rubber? Hot astringency? Asphalt? " The sun is beginning to set here at Indian Pass, a walk on the beach is next on the agenda.....but first some delicious Rum. Agricole with a bit of an attitude thanks to barrel proof and a bit of grace thanks to age. Beautiful picture and a beautiful rhum in my book! Picked that one up on a bit of a lark about a year ago. 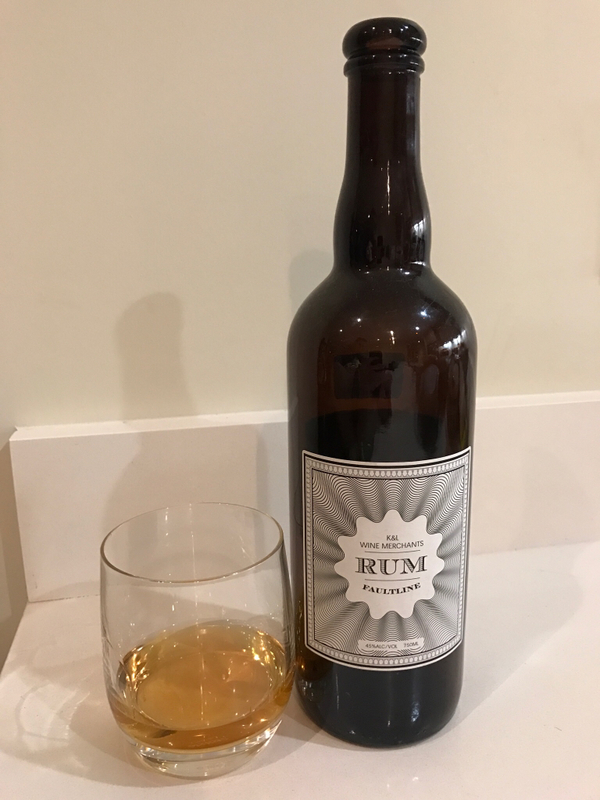 Pretty new to Rum but enjoying this. That one is definitely a good way to step directly into the deep end of the rum pool! I think I had 3 pours of this last night. It's not something I reach for on the regular, but damn it sure was going down easy last night. I will be investigating more Rum in this style in the very near future. I've heard it's good. Haven't tried it yet. Not carried by my locals but I'm sure I could track down a bottle if I looked hard enough. 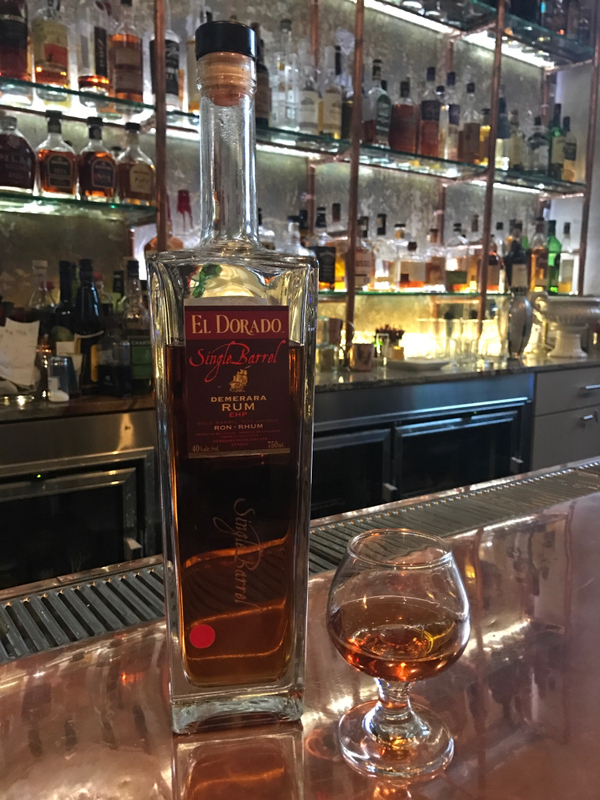 I was able to try the El Dorado 'Single Barrel' EHP at a new rum bar. It was very enjoyable and easy to drink, though I didn't find a great depth of flavor. Loads of vanilla and brown sugar. 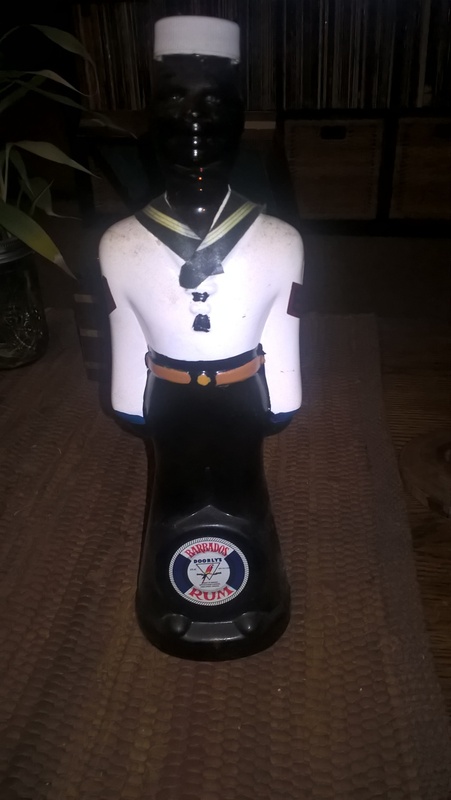 It's funny I have been drinking more Rum lately, but once upon a time someone gifted my one time roommate this bottle years ago and it has lived on top of my refrigerator ever since. I just poured myself a little bit and have to say after a lengthy night of bourboning I'm enjoying the change of pace. Have you tried all three? Trying them SBS is an amusing way to pass the time! 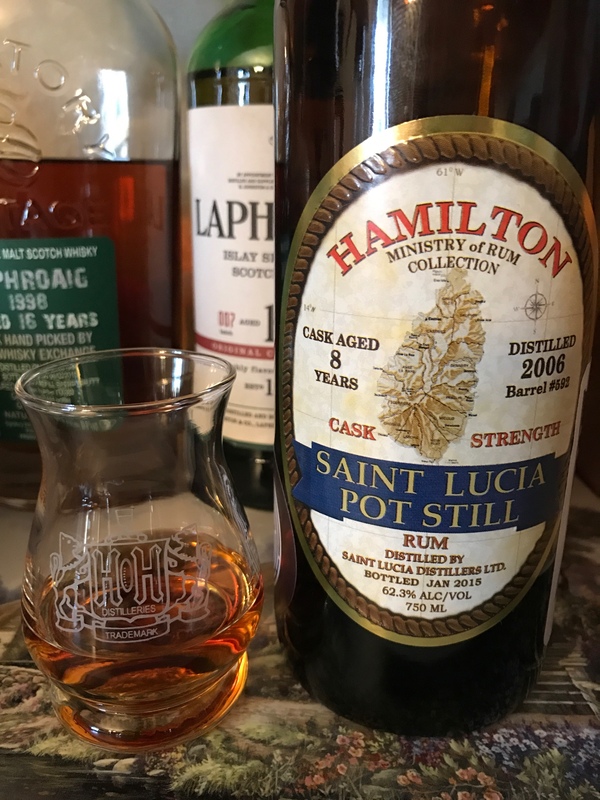 An interesting experience although I am never too sure how true to the still rums from DDL are or if they have had a little sugar help along the way. Although I believe the tests on these showed they had little or no added sugar, unlike most El Dorado products. I too found all three to be on the lighter side. Thought I had done these in a Wednesday tasting but if I did I can't find it. Might have been prior to when I started the thread. Also was never clear to me if these were truly "single barrels" of rum (and thus perhaps a bit different from bottle to bottle) or really just the product of a single still that was batched before bottling. 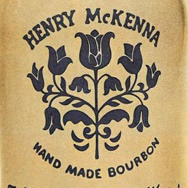 This link says they are aged in "small batches" which rather suggests it is hard for this to be a true "single barrel"! Say what? Could they be any less clear? I think not! That was actually my first taste of this lineup, and it was the only one this particular bar had, otherwise I would've certainly been tempted to try all three! I was always most intrigued by the PM since it's the pot still (right?). What I've seen indicates no added sugar as well. I, too, am unclear on the single barrel designation here. I think you're right that they could very well just be 'single still' and still a vatting of multiple casks. 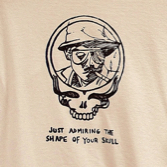 Either way it is kind of cool idea on their part and seems like pretty good execution as well. Do you recall how the PM version was, and how different it was from the other two? It has been too long for me to recall with any accuracy. given it is the double wooden pot still you would expect it to be the heavier rum but I don't recall it being quite as heavy as I expected. Here is the company line. And PM specifically. I will add it to my length "to do" (again) list! Perfect, I look forward to reading it (someday)! I always find it interesting to read tasting notes from the producer. They say the EHP has "An initial taste of baked peach and coconut with a smoky cedar finish. Excellent mouth feel." I didn't get any of the fruit notes they mention (though I find it pretty hard to pick out subtleties while I'm in a bar, too many other things going on) but it did have an excellent mouth feel, especially considering it's 80 proof. Well, a sample or three can be arranged so you can try them all in a more congenial tasting environment! I had forgotten they were a paltry 80 proof. But I guess I shouldn't be surprised. Well I can't turn that down. Much appreciated. Hopefully I can also wrangle up a few interesting samples for you to add to your extensive to-do list! 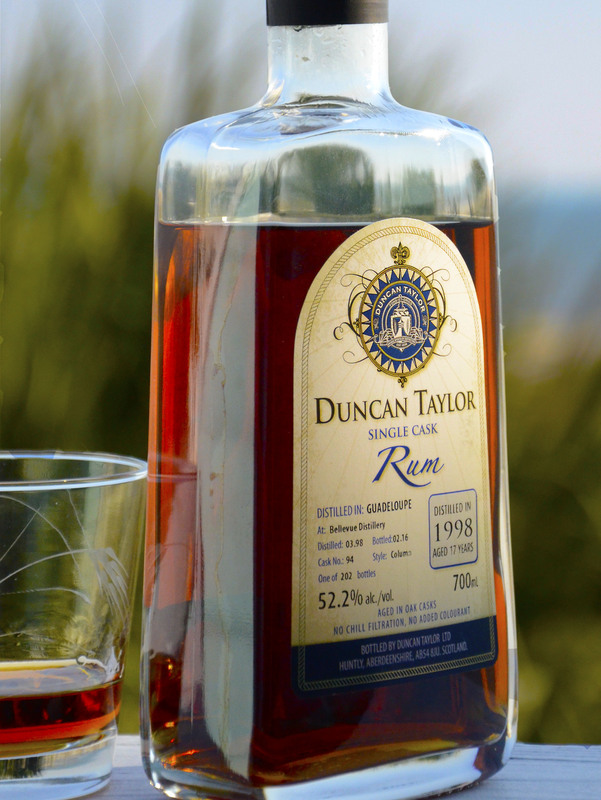 I sought out this bottle after Wes Burgin's excellent review a couple of weeks ago on his Fat Rum Pirate site. Flavorful and delicious. Complex enough to be entertaining. Just bold enough to be satisfying. Surprisingly shy for a barrel proof pot still offering it pleases with layers of sweet and spicy warmth. Well worth the effort and the dosh to get one or two in your line up. The nose shows wet earth, lots of flowers, wet stone and a fair amount of shellac. A surprisingly sweet palate with lots of tropical mellon and a nice peppery bite. They balance each other nicely. A mildly astringent and spicy finish. Sweetness sprinkled with white pepper then a subtle metallic note peeks into the party. Delightful. Have a great weekend and you enjoy whatever Spirit your drinking!! ^^^dang that Long Pond sounds delicious. Well done. Tonight I'm finishing off a bottle of K&L Faultline St. Lucia rum that came out about two years ago. I ended up liking this a lot and wish I had bought a few more at the time. It also made one hell of an old fashioned (I only used it for that purpose once, but it was excellent). It has a really nice sarsaparilla note along with some smoke and funk. David Driscoll's notes are right on: "Root beer, fruit tea, juicy fruit, oh my." Had a pour of the Amrut Old Port tonight, it was pretty unique though if I had to guess (novice that I am) I would think it was sweetened, otherwise I enjoyed it especially for something 80 proof. 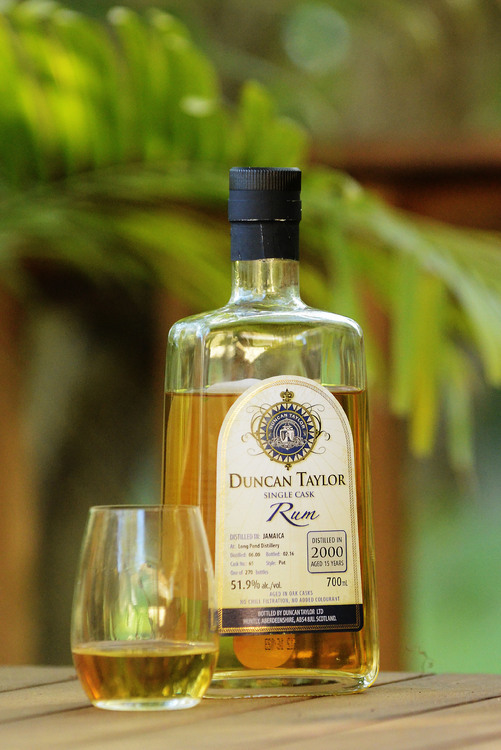 Spent Friday evening enjoying Duncan Taylor Long Pond with a splash of ginger ale and a generous squeeze of lime. Seemed a silly use for such a great barrel proof bottling but my goodness it made a lovely drink. I'm on vacation in Belize with my family. Snorkeling this morning was fantastic and we finished before the rain came in this afternoon. One bottle of $15 Appleton white rum from duty free, plus a little orange juice, and pieces of mango and pineapple and I'm off to the races! I'm smarter than autocorrect, dammit! A tasty pour of Foursquare Port Finished, I kind of marvel at the amount of flavor this bottle has for such a low proof and how it has evolved. That being said after a few weeks open the Port has moved progressively further into the background. Celebrating an OT win by the Rangers with some Amrut Old Port, figured I should go low ABV after having a few Rum Punches that I made with Plantation 73% Overproof.